We are proud to announce that Harvest at Upland Association has selected Tinnelly Law Group as their associations’ legal counsel. Harvest by KB Home is a new gated master-planned community in Upland that promotes a “Farm to Fork Lifestyle.” Residents enjoy an agrarian neighborhood with edible plantings in community gardens and orchards, and a recreation center with a demonstration kitchen, pool, spa, fitness center, BBQ area and outdoor loggias. 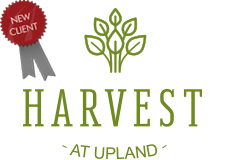 Our HOA attorneys and staff look forward to working with Harvest’s Board and management.